A birth doula is a non-medical birth helper who is trained to provide calm, abiding help and, emotional and physical support for mothers in labor and their birth companions. A doula supports you through your pregnancy, labor and post labor. During labor, the doula helps with emotional and physical support, as well as helping you to be informed and present in the decision making of the process of labor. A doula can also help to include loved ones in the labor process helping them to be involved and emotionally present, facilitating that experience to be a bonding experience with the ones you love. Having a baby is a very emotional experience and for mothers and families who choose to deliver their baby in a hospital, a hospital environment may present another set of new experiences hence bringing certain situations that can be emotionally impactful to families. Shift changes of hospital staff and the uncertainty of which doctor will delivery the baby can make it difficult for the mother to build a consistent and comfortable relationship with her care-providers. 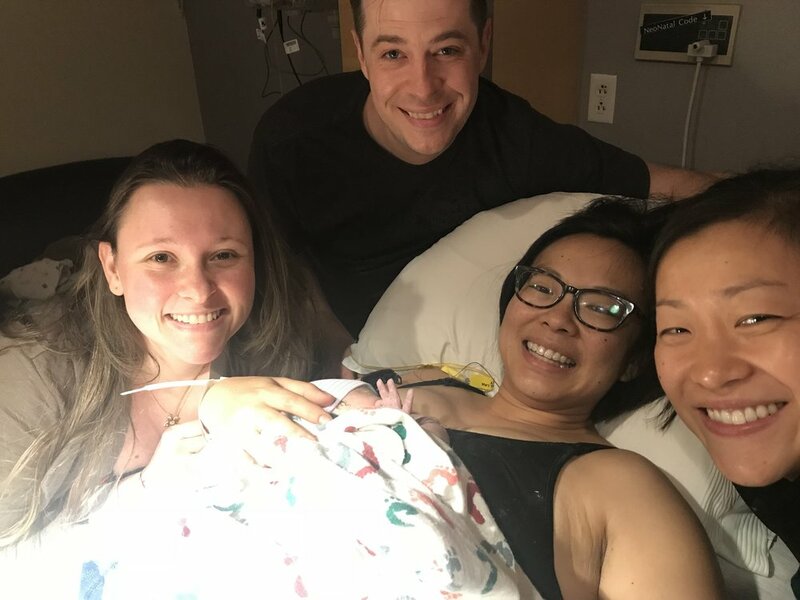 Furthermore, amidst the intense process of labor and the bustle of hospital practices, it can be easy to forget one's birth plan or become overwhelmed with the labor experience. A birth doula will help a mother in labor and her family to feel present and much more at ease by providing continuous support. While it might not be possible to choose the doctor who will deliver your baby, or to have your favorite nurse stay for an extra shift, you can certainly choose someone who will be beside you throughout the process of your pregnancy and will bring a strong, positive and calm presence throughout the birthing process. After witnessing a few births I truly learned how important labor support is and knew what my calling was. Just then I could see how important my job is, and the difference I can make in someone's life during such a short period of time: their pregnancy, labor and postpartum journey. A baby will be born if a doula is there or not. Nurses and doctors/midwives will be able to do their job whether a doula is there or not but chances are extremely high that a family's experience wont be nearly as it could be utilizing a doula. I love what I do and my goal is to show people that labor does not have to be what they have heard their whole life, it can be just as beautiful as holding your baby in your arms, and mother by mother I will accomplish my goal of spreading this 'great news' to anyone willing to listen and experience it no matter the birth route chosen or needed.